What Our Students Have to Say !!! 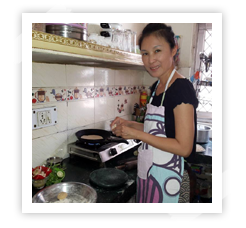 When searching for places to eat on our first trip to India we came across Fahreens cooking classes and thought it simply had to be something we did! I was right! 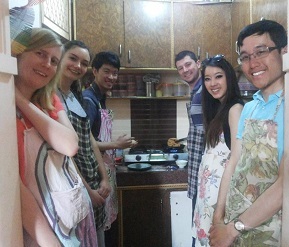 We only had two nights in Delhi on a tour and I am so glad we did the cooking class. Fahreen was great. We didn't have much time and we were not able to do the class till the evening but she was very flexible. Fahreen gave us all the info we needed to get there and when we arrived she made us feel right at home and had a chat with us to get to know us before we started. The cooking itself was great and she made it so easy for us. With all our fancy kitchen gadgets it put us to shame with what amazing food we created with just a few key items! 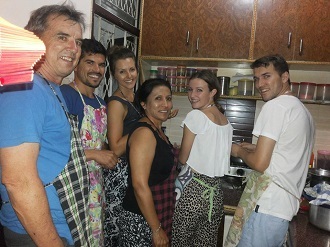 It was great seeing proper home cooking and really getting to know a bit about Indian culture. Great experience and would recommend to everyone that visits Delhi classes.